Thank you to Team Blue from National Citizen Service Nottingham for recently joining our residents in the garden at Westwood residential care home in Worksop, Nottinghamshire. Aiming to spruce up the residents outdoor space and make friends along the way, this Worksop community project was a great success and a huge achievement for all involved. Westwood’s residents said all of the volunteer were all with full of smiles, energetic and really hardworking. Runwood Homes really welcomes connecting with the community; aiming to establish relationships, grow companionships and create a true sense of belonging and wellbeing for the residents we care for. NCS is an organisation set up for young people to take on new challenges and meet new friends and working within our residential care home environment helps to bridge the generation gap, benefitting both groups of people. 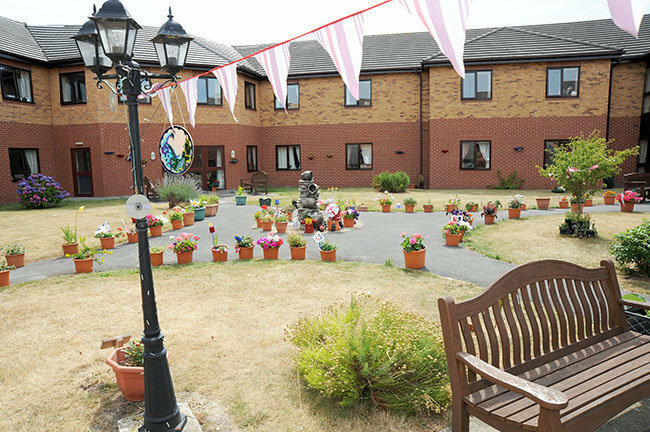 Westwood is a residential care home situated in Worksop, Nottinghamshire, specialising in 24 hour expert care for older people, including those living with dementia. For more information, please call 01909 533690 or email westwood@runwoodhomes.co.uk and for more information, visit the Westwood web page by clicking here.